If you’re looking for the perfect shortbread cookie recipe to make and share, this is it. 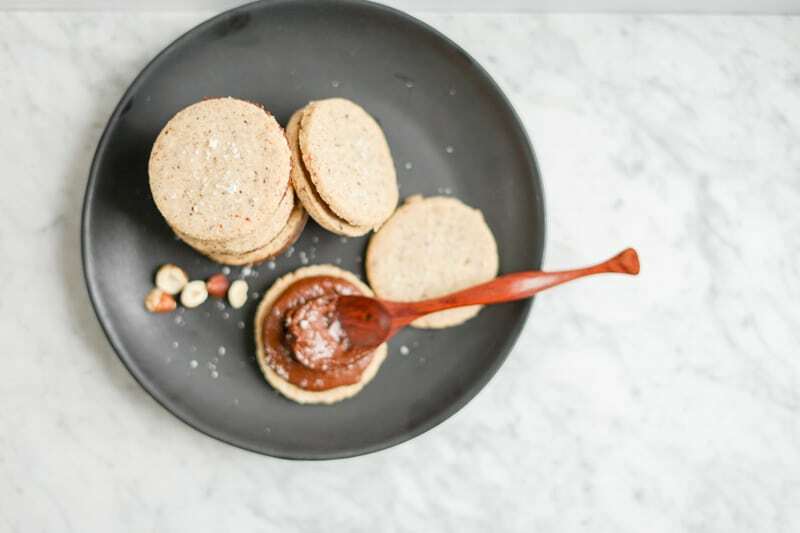 These Gluten-Free Hazelnut Shortbread Cookies are also vegan, low in sugar, and of course made with real ingredients! 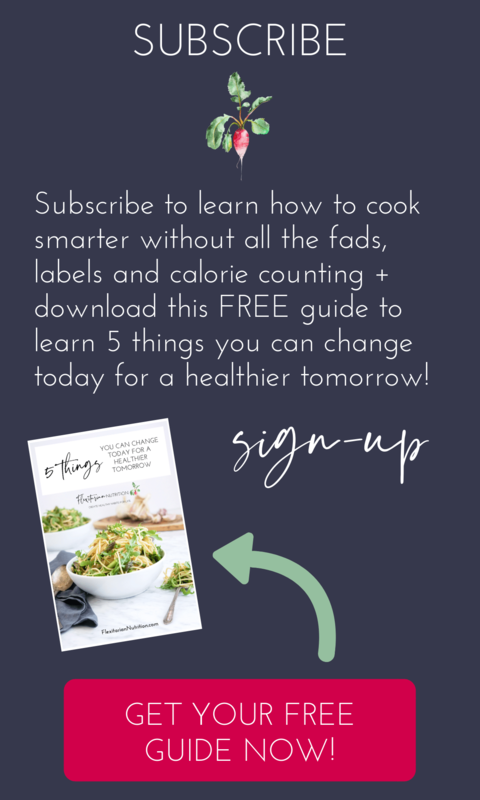 I usually try to share simple recipes that don’t take too much time to make, but this one does take a bit of time and planning, but it’s not complicated by any means. If you can mix some ingredients in a bowl, you can do this! I’ve been wanting to make this recipe for a while. It was inspired by my Lemon Thyme Shortbread Cookies, and will make approximately 80 cookies or more (creating about 40 cookie sandwiches), depending on the size of cookies you make, which is perfect to share with others. I couldn’t find my cookie cutters, so I used a small glass (a bit under 2.5″ in diameter) to cut the cookies. It requires a stand mixer or hand mixer in order to beat the ingredients properly, but it comes together in about 10 minutes or so without breaking a sweat! It does require patience as you need to wait for the dough to cool. Although this recipe could be made using a good quality grass-fed butter, I made them using a vegan buttery spread because my husband can’t eat dairy, so no butter for him! 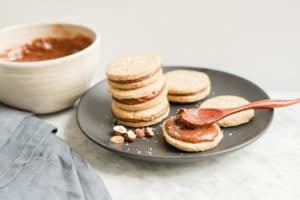 I also enjoy the challenge of creating classic recipes for people that have dietary restrictions, so on top of making these hazelnut shortbread cookies vegan, I also really wanted them to be gluten-free. Challenge accepted! 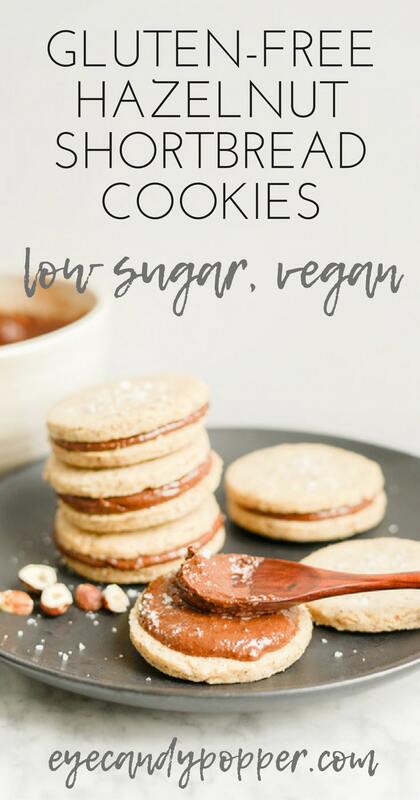 What makes these cookies much healthier than most, is the fact that we use real ingredients, and very little sugar compared to what most recipes call for (about 75% less sugar on average). A note about these cookies: because they have no dairy, eggs or gluten in them, you need to appreciate that they will not react the same way as you might be expecting from a cookie. Most shortbread dough is meant to be a bit more fragile, and not as stretchy, but this one is even more fragile, so it’s important to follow the steps in order to get the best result. Once they are baked and completely cooled, they do hold well, but will require a careful hand to put the chocolate filling in. Well worth the time in my opinion! 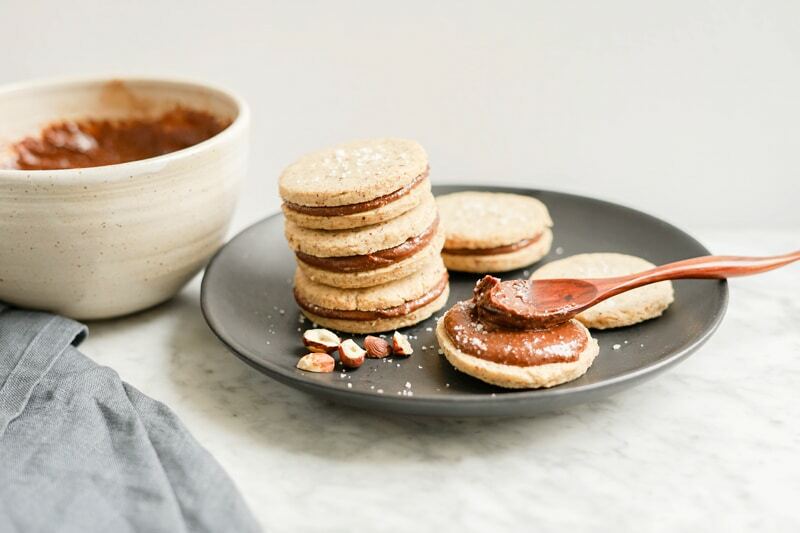 These cookies are incredibly flavourful and made with good ingredients, so you know you will get delicious and better-for-you cookies that you can enjoy with a cup of tea and friends. P.S. Looking for more healthy cookie ideas? Check out these easy Almond Raspberry Thumbprint Cookies. 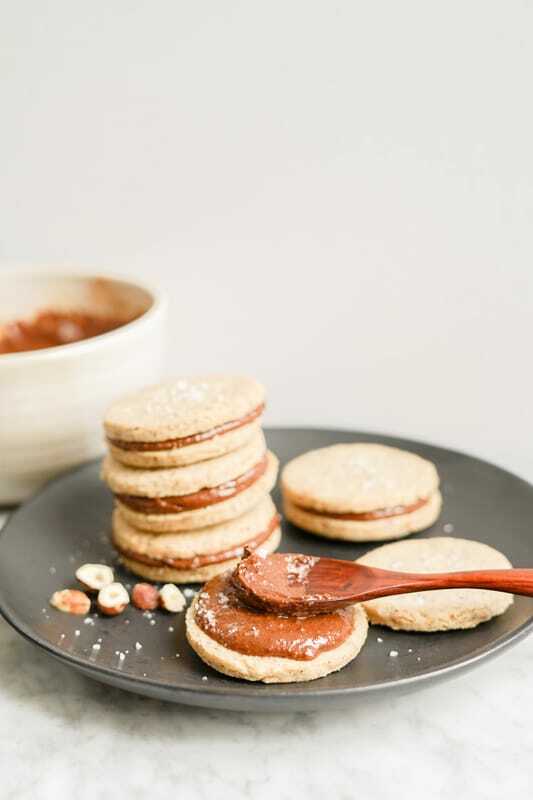 Only 8 ingredients will create these healthy Gluten-Free Hazelnut Shortbread Cookies that are vegan and low in sugar. Perfect to share with friends! Makes about 80 cookies, a bit under 2.5" diameter. In a stand mixer or using a hand mixer, beat the vegan buttery spread until nice and fluffy, then add the sugar, salt and vanilla, and beat again until fluffy. Slowly mix in the ground hazelnuts, then the brown rice flour, and then the tapioca flour (be careful not to pour the tapioca starch too fast or it'll splash everywhere). Mix everything until the mixture pulls from the sides and sticks together. If it's still too wet, add more flour, 1/4 cup at a time. The dough will be quite soft and crumbly. Gently divide the dough in 3 or 4 balls, then flatten a bit into discs, put on plates and put in the fridge for 2 hours. When ready to bake, remove 1 disc at a time from fridge and let warm up a bit at room temperature for about 10 minutes, then flour your clean counter and use a rolling pin to gently roll the dough out to approx. 1/4". Use cookie cutters or a clean small glass to cut the cookie shapes. Use a butter knife to carefully lift each cut cookie from the counter and place on your cookie sheet lined with parchment paper. Once done, put the cookie sheet in your freezer for 20 minutes. This is especially helpful in making these cookies, but it's a good trick to use with any cookies to keep them from spreading. Bake at 325F for about 12-14 minutes. Don't over-bake them! Remove from oven and let cool in the pan for 5-10 minutes before transferring to a cooling rack and let cool completely before using. They will be quite soft at first but will harden as they cool down. Mix the hazelnut butter with vanilla and sugar (or maple syrup), then carefully mix the cocoa powder in, 1 Tbsp at a time. Lastly, mix in the melted coconut oil and a pinch of sea salt. Use immediately or put in the fridge for later. You'll want to let it warm a bit before spreading onto cookies. 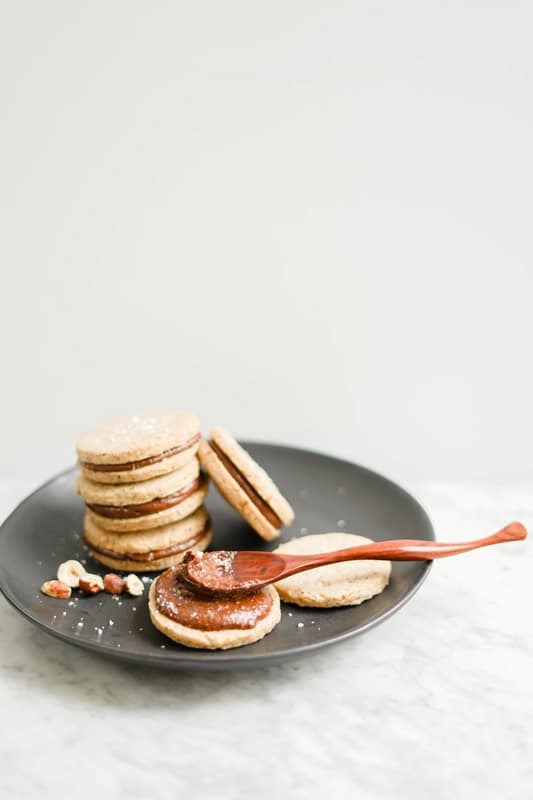 If you choose to make cookie sandwiches, simply spread about 1.5 tsp of the chocolate mixture on the back of 1 cookie, and gently press the back of another cookie on top, wiggling it around a bit to get the chocolate to spread evenly. I couldn’t wait to make this! The hazelnut spread is amazing, tastes like nutella! I’ll be putting that stuff on everything! Great dessert recipe, thanks! hahaha I don’t blame you, it’s so good! Glad you enjoyed it! haha no need for nutella with this recipe 😉 You’ll love it! Even the idea of hazelnut butter is making me drool. I love to make a ‘homemade’ nutella type spread! These are gorgeous – they’d be perfect for a tea party or a holiday cookie exchange. I’ve been all about shortbread lately, so you’re definitely speaking my language with this one. Plus, it has hazelnuts AND chocolate! Ugh! Drool Fest 2017 is happening at my place right now! hahaha I rarely bake cookies, but these were calling my name! I love hazelnuts, but not nutella, and love that you made a natural version for these cookies. They look scrumptious! If you like hazelnuts and chocolate, you should love these! Oh my goodness! These look so good. Most of all my family would go for these! These sound so delicate and lovely, Gaby. Not to mention they are beautiful! I would love to try these for my sister-in-law. She is gluten free, dairy free and can’t have chocolate. They have identified all of these as triggers for severe migraines. What is the butter substitute that you used? I am totally new to this type of baking and want to support my sis!! 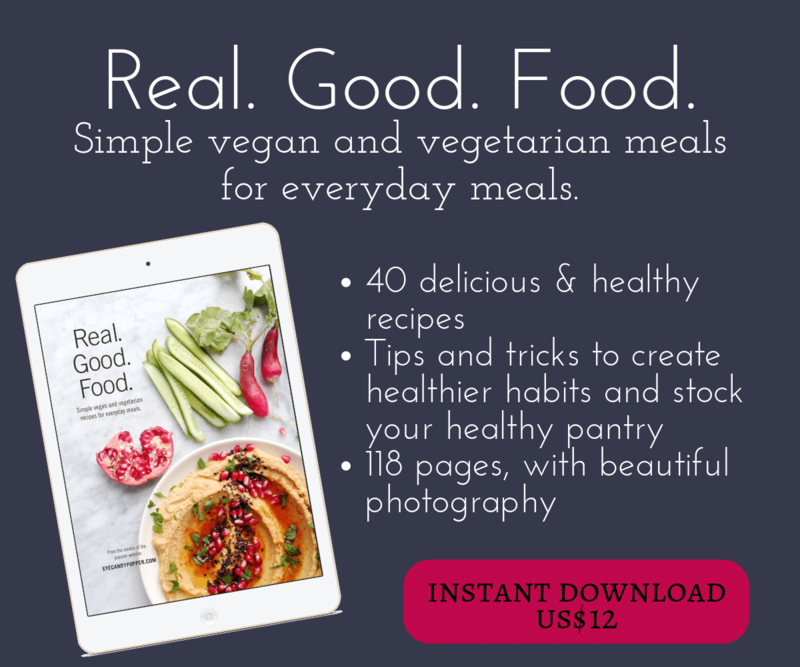 Vegan, gf and healthy? You made this beauty guilt free and calling my name to be devoured! 😉 Thanks so much Melanie! I hope you try it!